According to a recent news story from the Morning Call, Samsung has just issued a major recall on 34 models of their top-selling washing machines. The reason for the recall is that a defect in these 3 million units sold (all top-loading washers) can cause the drum to lose balance. The drum is the large spinning basket that holds the clothing in the washing machine. When the drums become unbalanced, it can cause the washing machines to start to vibrate excessively. While this just seems like it would be annoying and not dangerous, the vibration becomes so excessive that the top of the washing machine can actually separate from the bottom and come flying off. There have already been more than 730 injuries reported, including shoulder injuries and at least one broken jaw. 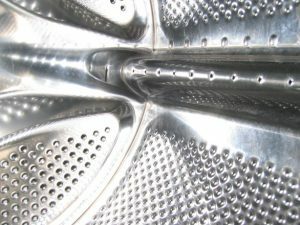 The defective balancing mechanism most often results in a problem during the high speed spin cycle when there are large items loaded in it, like blankets and pillows. Water-resistant items have proven be particularly dangerous in terms of causing the machines to rip apart while they are being operated. This is a voluntary recall, but that is not unusual. Most companies will voluntarily recall a defective consumer product or vehicle when it is obvious there is a design defect or other problem. However, it should be noted that drug companies and medical device companies are very reluctant to recall their products, even when it is obvious there are significant problems, as our Boston dangerous drug injury lawyers have seen in far too many cases. There are a variety of reasons for that. One reason is that the drugs are worth billions of dollars to the company, and they do not want to do anything that will hurt sales. We have seen many examples over the years of drug companies putting their profit statements ahead of the safety and well being of patients who take their drugs. Another reason has to do with how the recall process works. When something is defective on a washing machine, the company is able to fix it fairly easily. In the case of the Samsung washing machines, they will send a repair technician to the owner’s home, and they can replace the defective parts in a matter of hours. This is not how things work with a defective drug. For example, the defective drug Xarelto has been shown to cause serious internal bleeding disorders, including intracranial bleeding. Even though there is a more and more evidence being found on regular basis, they drug makers is not about to admit there is a problem. If they did, the drug would be taken off the market, and that would cost them upwards of a $100 billion. It would also require them to do major testing and possibly not be able to fix the problem. If they did fix the problem, they would have to undergo years of clinical testing before they could get the drug back onto the market. It’s not like they could just fix it in a matter of hours.